The new year’s off to a great start with a flurry of update packages. Last week I blogged the Lync 2013 & Sonus Tenor updates, and here’s what’s in the January update for the Lync 2010 Client and Server. “This cumulative update improves the reliability, stability, and performance of Lync Server 2010”. As per the image below there aren’t a lot of components included in this update and there’s no more information as to what’s changed. Nothing apparently. If any new features are found I’ll update this post. 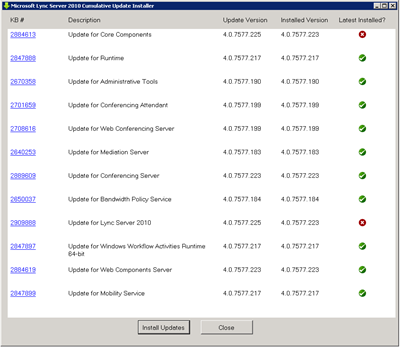 This update takes Lync 2010 Server to 4.0.7577.225. Download the installer from here. 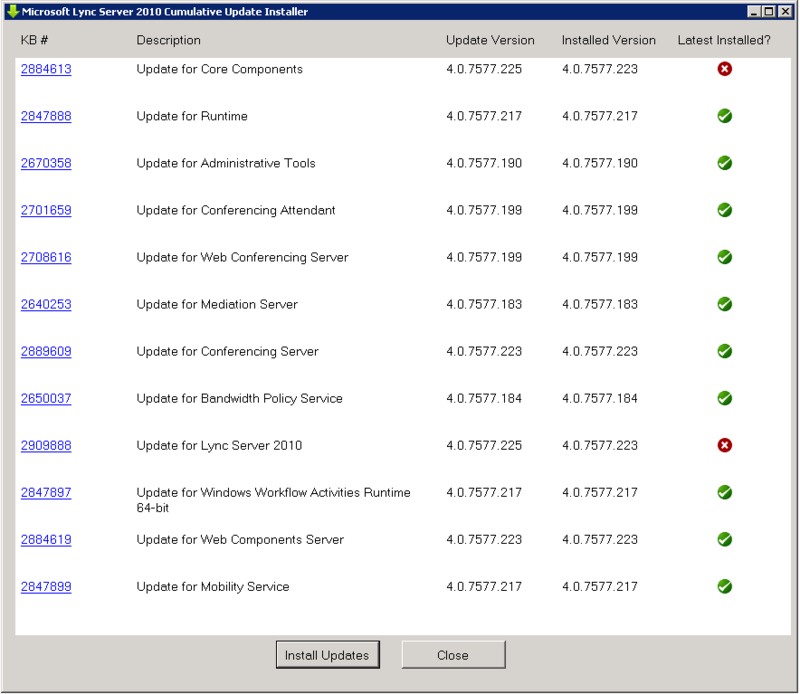 This update takes Lync 2010 Client to 4.0.7577.4419. DON’T FORGET THE DATABASE UPDATES! The process is documented on the kb page.